sourcup wrote:Like I said, this is based off their performance in the trilogy and the trilogy ONLY! Jenna didn't do ANYTHING on any of the seasons she participated on in the trilogy and that's just that. and what did Alicia do? dirty 30, jenna won a physical redemption challenge (but that doesn't count i guess zzzz), won an individual challenge, went against her best friend in an elimination, and sent camila into elimination twice when no one else would. Alicia was involved in drama, was in a relationship, and performed decently. Jenna didn't do ANYTHING on Dirty 30 OR FR. If Cara's not #1, who arguably has the best stats of the entire trilogy, then who is supposed to be #1? Don't tell me you're gonna put Ashley just because she won $1,000,000. The amount of money you win has nothing to do with how well you did in the final or the game itself. She quit before the game even started in Dirty 30. And FR's final was one of the easiest finals and had the grenades that were used twice on Joss/Sylvia, and they still only lost by 40 seconds. I mean, that's gotta knock Ashley down a couple of ranks. Let me go find the screenshots of Gamer and I supporting our Camila Nakagoddess. Her performance wasnt that great on those seasons tbh. But her and Cara's team did have the most drama and confessionals on FR which definitely puts Marie in the top 10. Yeah love Alicia but like what? Jenna almost made the Dirty 30 final lol Ima just chalk this up as a ranking of faves and carry on. Y’all keep talking about how Jenna almost made the finals of dirty 30 as if she wasn’t in redemption early on in the game and beat girls in a physical challenge who were smaller than her. After she got back into the main house her performances were lackluster and she didn’t even win a daily also let’s not talk about how boring she was and how she contributed nothing to the season. Tori & kailah outshined her so you Jenna fans can honestly smd. Anyways. Next rankings are coming. Devin has to be soon. I know people like him but he only got eliminated first on Dirty 30, wasn't on Vendettas, then was in the game for like 3 episodes in FR. QueenRamos wrote:Devin has to be soon. I know people like him but he only got eliminated first on Dirty 30, wasn't on Vendettas, then was in the game for like 3 episodes in FR. omfg he's found out how to access other threads RUN!!! Not only was he on it, Vendettas was his greatest season in the Trilogy. Won two missions, eliminated Bananas, in drama as usual. Competition: Now I know you’re all thinking how did she make it this far, well this all lands from her performance on Dirty 30. On Dirty 30, I say she performed decently and even won a challenge or 2, she also was a confessional Queen with her commentary on Kailah and Camila, and she almost won the redemption challenge against Aneesa, on Vendettas there’s nothing much to really say except that her performance was pitiful, just pitiful. Drama: She wasn’t involved in drama, but had a lot to say about people in confessionals on Dirty 30, which was pretty entertaining. Gameplay: She didn’t really show any political prowess, so I can’t say much here. Competition: Aneesa looked promising at the beginning of Dirty 30 killing it on the first purge, and then almost winning the next daily. However, she started to lose slack as the game progressed. She Was eliminated by Kailah which isn’t bad, and won a redemption, however she was sent right back into redemtpion by a Veronica who hasn’t seen a challenge elimination in YEARS. Drama: Aneesa was involved in a little bit of drama on Dirty 30 involving Jordan, Veronica, and Tori-ish. None of those REALLY had an impact on her game. Gameplay: Aneesa’s gameplay is honestly invisible. She likes to stick to the vets and not really make any other new alliances which backfired on her. Competition: Jemmye wasn’t THAT bad but she wasn’t good either. Dirty 30 she made good moves and made it relatively far, but sucked in elimination. Vendettas, she competed pretty well outperforming strong competitors on multiple occasions and made it very far. However a purge ended her, but she made it further than expected. Drama: Jemmye was involved in a TAD bit of drama with Jordan and Kayleigh, and had a lot to say about the Britni and Chuck drama. She wasn’t irrelevant and provided good tea. Gameplay: She played a good game and made good game moves and aligned with good people that kept her out of eliminations and made it far in the game. Competition: Poor Darrell, he never had a chance and I’m not counting mercenary appearance. He was purged on the first challenge on Dirty 30, and he was eliminated at the first redemption. Not too much to say but he beat devin, and stuck with Tony. Drama: Darrell didn’t have any drama attached to him, and that’s about all I can say in this department. 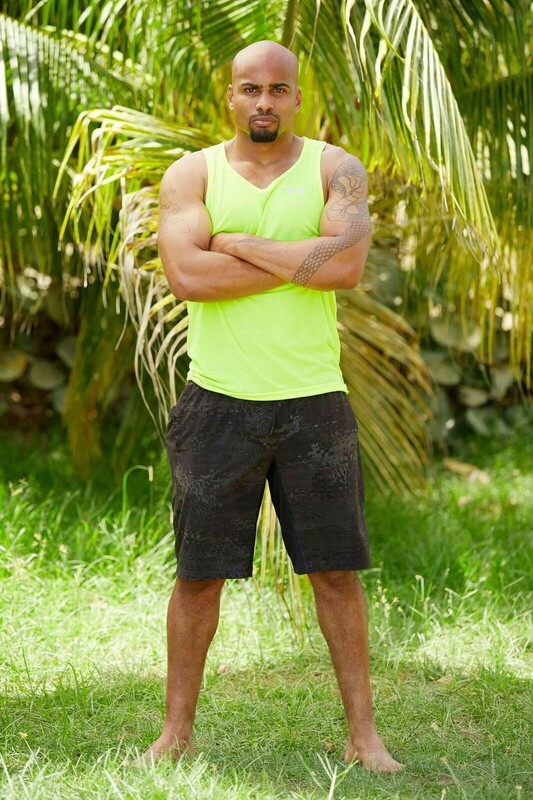 Gameplay: All I remember is that he and Devin made an alliance in case the redemption challenge was a team thing. Competition: He actually was pretty solid during his time. He never really underperformed and was taken out by a good competitor. He also almost was apart of the troika (very sketchy). Drama: He didn’t really have a whole bunch of drama on Vendettas and was there really to just play the game. Had he been there longer he could’ve probably made some waves. Gameplay: His gameplay was a mess, just like Natalie on Vendettas, he played a big brother game in a Challenge house by making alliances with any and everybody and it finally caught up to him fast. Competition: Dario wasn’t a bad competitor, he was just boring. He was a mediocre competitor and honestly did nothing noteworthy on Dirty 30. He was beaten by Tony who at the time wasn’t really someone to look out for. Drama: Dario wasn’t involved in any drama and for the most part was boring as hell. His only drama was with Tori and Derrick H and even that is a stretch. Gameplay: Dario’s gameplay was strictly to float to the end and go by unnoticed which worked for a second, but obviously stopped working once numbers dwindled. He didn’t really make any big moves or did anything to stand out so there you have it. You really went with that picture of Jemmye huh?